Seed Stockers has created his own version of the classic that triumphs in all the Dutch Coffe Shop. Cheese is a feminized and hybrid seed with an Indica predominance. 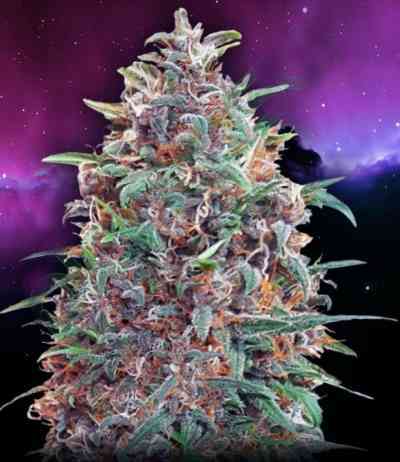 This version of the classic like his father, will grow as an imposing plant with a branched structure with thin and elongated leaves, which will be the queen of your cannabis garden. Cheese is loaded with buds with an aroma so intense that it is practically unbearable, not suitable for "cannabis novices", this is a seed for authentic veterans who love strong emotions. In indoor crops we can collect up to 500 gr per m2 but we must take into account the installation of a good extractor and a charcoal filter since its penetrating smell is brutal and will flood the whole room quickly and could alert the curious neighbors . It is also suitable for greenhouse crops and outdoor crops grows very well in Mediterranean climates, Cheese can get to reward us with up to 1000 gr per plant. Its aroma and flavor is marked by an intense tone of cured cheese, strong and powerful that is not suitable for all palates. This is a strain loved worldwide precisely because of this, because its flavor, although strong, is really addictive. It produces a powerful and balanced effect, with a cerebral stimulation and after a few puffs it is accompanied by a physical relaxation without a leverage effect, which is perfect to enjoy at any time of the day.